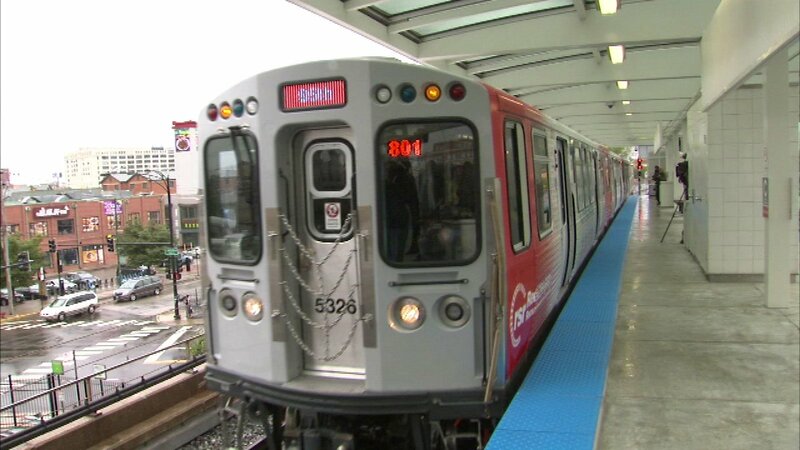 CHICAGO (WLS) -- CTA Red Line trains were rerouted during Tuesday evening rush hour due to a small rubbish fire, according to officials. The trains were stopped at Lake Street at about 5:30 p.m. after the fire started on the tracks. The fire was put out shortly afterwards. Red Line trains between Fullerton and Cermak-Chinatown were being rerouted to the elevated tracks. Northbound Red Line trains were running via the subway around 6:30 p.m. The trains resumed their normal routing around 6:45 p.m.
Red Line service is resuming its normal routing, via the subway, btwn Fullerton & Cermak-Chinatown after an earlier reroute.